Last week, the UK Government had a busy week on the oil and gas front – publishing the Draft MER UK Strategy and announcing new measures to encourage investment in the sector and a new City Deal for Aberdeen. Of course, an even more powerful display of UK Government support to the industry, might comprise some form of tax relief for faltering producers. We wait to see what happens in the March budget. David Cameron’s announcement comes as The Secretary of State for Scotland, David Mundell, prepares to travel to the port town of Pemba in Mozambique, to promote relations with Mozambique’s oil and gas industry. This trip is in conjunction with Aberdeen City Council’s Pemba Initiative which aims to support Pemba’s development as an oil and gas hub. The level of oil and gas activity in Mozambique is set to increase dramatically in the next decade. Mozambique has hit the headlines in the last few years, due to huge discoveries of gas in the Rovuma Basin, offshore Northern Mozambique. More than 150tcf of gas discoveries have been made since 2010. Operators, Anadarko and Eni, are both pressing ahead with LNG projects – an initial 12mtpa onshore facility for Anadarko from the Golfinho reservoir in Area 1 and a 2.5mtpa FLNG facility for Eni for the Coral reservoir in Area 4. A flurry of exploration activity is also expected in the next few years. INP announced the results of the fifth licensing round in October last year, inviting six consortia (including relative veterans Eni, Statoil and Sasol, as well as newcomers ExxonMobil) to enter into negotiations for exploration and concession contracts for six new blocks. It seems that opportunities abound for Aberdeen and the UK to develop partnerships with and provide support to Mozambique’s relatively young petroleum industry. Although anyone wishing to engage in petroleum operations in Mozambique will need to get to grips with the recently revised petroleum laws, new petroleum regulations and other local laws – including the local content rules. 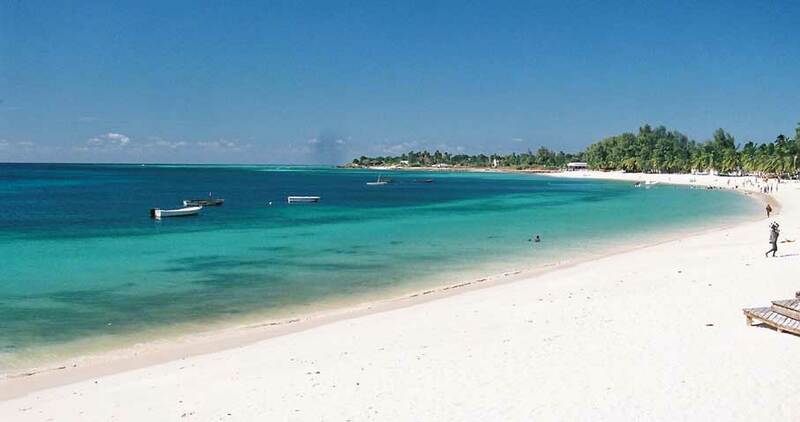 Mozambique does not have a general local content law, instead provisions for local content are to be found in the 2014 Petroleum Law, and for the Rovuma Basin LNG projects, in the 2014 project-specific Decree-Law. The two laws contain rules about the level of Mozambican nationals participating in the workforce, in addition to, requiring those engaged in petroleum operations to give preference to Mozambican companies and partnerships and joint ventures between foreign and local companies and individuals in the context of procurement of goods and services. If you would like to discuss any of the issues raised above, please do not hesitate to get in touch with the author or any of your other regular contacts in the Dentons oil and gas team. 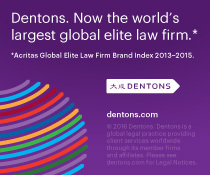 Dentons has experience going back over 20 years in advising on energy projects in Mozambique and is heavily involved in the current LNG projects in Mozambique. A year dominated by the story of low oil prices is drawing to a close amid predictions that the pressures on upstream oil and gas companies’ financial positions may well intensify through 2016. For those who may be concerned about the financial health of their joint venture partners, we offer below a quick guide to taking stock of where you stand under your Joint Operating Agreements (JOAs) to put you in the best position to deal with any emerging problems. Most JOAs contain an unqualified and absolute obligation on a party to pay all cash calls, pre-funding and invoice requests. But check if a partner is in trouble, it may try to dispute the validity of payment obligations – most JOAs depend on a ‘pay now argue later’ formulation – but it’s worth checking. Check that the JOA allows a non-operator to issue a default notice and ask for all joint account statements. The JOA should require the operator to provide periodic information on funding the joint account to evidence that non-operators and the operator are funding their participating shares. Do not suppose the operator’s functions extend to funding any default – they will almost certainly not. The non-defaulting parties will be liable for the defaulting party’s share in proportion to their respective shares and non-payment of the additional share will be a default event itself. The operator may be able to borrow funds instead – this may be a more attractive means of funding any immediate work commitments, so talk to the operator. The defaulting party will cease to have voting rights – and a non-defaulting party’s rights at OPCOM will increase proportionately. Other entitlements will be lost as well: the right to information, the right to transfer an interest or withdraw. Again, check the JOA. The prohibition on transfer should be at the non-defaulting party’s discretion – there may be a willing buyer and the advantage of a quick sale. What happens to the petroleum? Rights over petroleum entitlements will be lost as well. Check what the operator’s obligations are – usually to sell the defaulting party’s petroleum on the best terms available to offset against the shortfall. Non-defaulting parties will want transparency on this and no sweetheart deals with the operator’s affiliates. Here’s where JOAs differ in approach, so it’s important to know the process. Options include compulsory withdrawal, interest sales, mortgage security enforcement and forfeiture. The process for enforcing additional remedies will be spelt out in the JOA. Timing, and the role and exposure of the non-defaulting parties will differ depending on the form of the sequestration sanction. This avoids the uncertainties with forfeiture and is potentially attractive. The non-defaulting parties have a secured interest – and can rank ahead of unsecured creditors. But it can be problematic in some respects, multiple charges need to be registered and commercial lenders to the defaulting party may have some priority. Know what deductions can be made from the sale price beyond the amount in default. It is easy to justify all associated costs of the sale, marketing, legal and so on. However, any deduction that cannot be easily justified (such as fixed percentage deduction) may look like a penalty – and that can be problematic. Forfeiture – i.e. distribution of the defaulting party’s interest to the others. Fine in principle, but it only works if all the non-defaulting parties are willing to assume an additional burden. If others won’t do this, the situation can rapidly worsen – with other parties withdrawing and the handback or surrender of the concession. This can be off-putting to buyers – have the sellers got good title? Forfeiture comes with baggage – how effective is it? Not commercially justifiable – so perhaps a penalty? Or an unfair preference over unsecured creditors, such that a private contract defeats the law of insolvency? Not straightforward and plenty of scope for mischief by those in default. On 28 July 2014, the Government launched two consultations in parallel on the implementation of the Offshore Safety Directive (the OSD). One of the consultations is led by DECC and the HSE (the DECC/HSE Consultation) and the other is led by Defra and the Welsh Government (the Defra Consultation). Both consultations run from 28 July 2014 to 21 September 2014. The DECC/HSE Consultation concerns the transposition of the OSD and the establishment of an offshore competent authority. It also seeks comments on HSE’s proposals to update onshore oil and gas health and safety legislation to take account of emerging energy technologies and the review of two Approved Codes of Practice. The DECC/HSE Consultation annexes a suite of draft regulations for comment. The Defra Consultation is narrower. It concerns the transposition of Article 38 OSD, which extends the scope of environmental liability under the Environmental Liability Directive to Marine Waters. Separate consultation exercises will be taking place later in the year in relation to marine waters off Scotland and Northern Ireland. The safety and environmental regime which OSD required the UK Government to implement closely resembles the existing offshore regulatory regime in the UK. Therefore this consultation does not involve proposals to completely dismantle and then reassemble the offshore regime. Consolidation of legal duties under one appointed operator. DECC take the view that as a result of the OSD the same entity must be appointed as both safety duty holder and operator under the Petroleum Act. This is not consistent with the approach taken by many operators in the North Sea. The OSD requirements on this point need to be considered carefully. Proposed new Competent Authority. The OSD requires a single authority to be responsible for safety and environmental regulation. The consultation proposes, as expected, a “competent authority” made up of both HSE and DECC to deliver this – similar to the Competent Authority under the onshore COMAH regime. However, arguably this complicates rather than simplifies the current regulatory structure. The new “hybrid” authority will be responsible just for the documentation required under the OSD, whereas operational environmental licences will still be issued by the existing offshore division within DECC. Operator / Licensee Liability for Environmental Damage. The OSD extends “environmental damage” under the Environmental Liability Directive to include marine waters. This will have the effect of increasing the potential liability of operators to remediate environmental damage in the event of a major spill from an offshore installation. Article 7 of the OSD requires licensees under the Petroleum Act to be “financially liable” for such remediation work. Defra are consulting on whether any changes need to be made to existing Environmental Damage Regulations to achieve this. We will be reporting further on these and other points of interest in due course. Round 14 for onshore oil and gas licensing: are fault lines emerging between DECC and environmental groups? In December 2013 DECC published, and submitted for consultation, a Strategic Environmental Assessment (SEA) for further onshore oil and gas licensing. The SEA environmental report is required to identify the likely significant effects of proposed licensing on the environment, and identify the reasonable alternatives to DECC’s proposal. The consultation period closes on 28 March. DECC will consider responses to the consultation before issuing a post-adoption statement that will summarise government policy on further onshore licensing. Just as the consultation period was drawing to a close, six countryside and wildlife organisations, including the National Trust and RSPB, released a report entitled “Are we fit to frack?”. Referring to analysis in the SEA environmental report prepared by AMEC, the Are we fit to frack? report sets out concerns about the potential impact of unconventional onshore oil and gas developments on protected species and habitats in the UK. Analysis in the report indicates that a significant proportion of land currently “under licence” comprises designated protected areas of one kind or another (e.g. 5.1% being sites of special scientific interest; 5% being national parks; and 9.8% being Areas of National Outstanding Beauty). The analysis also indicates that a greater proportion of the land being considered in the 14th licensing round is similarly protected. Despite this, the National Trust, RSPB, Wildlife Trust and Wildfowl and Wetlands Trust between them own only a very small proportion of these areas. Perhaps as a result, the first of 10 recommendations made by the report is the creation of “shale gas extraction exclusion zones” to avoid sensitive areas for wildlife and water resources. The SEA environmental report concludes that the existing regulatory framework will identify, assess and mitigate to an acceptable level any environmental effects. It states that construction and operational best practices can minimise effects to a level that is acceptable to both regulators and communities. By contrast, Are we fit to frack? describes the current regime as not fit for purpose. The report considers the current safeguards are too reliant on self-inspection and the HSE ,which “does not have the necessary specialist knowledge”. Are we fit to frack certainly has the potential to kickstart a constructive dialogue. However, it also has the potential to polarise the debate, with important stakeholders on each side. Indeed the debate already looks adversarial, with the current UK Government adopting an entrepreneurial “pro-shale” stance, but the EU Commission, conservation groups, and local residential groups all urging caution. This emerging fault line could pave the way for legal challenges against decisions taken by DECC in the 14th licensing round. Demonstrating the absence of harmful effects on protected species (for the purposes of the Habitats Directive) could prove costly for developers, whether this is tackled at the licensing / consenting stage, or subsequently in court. The prospect of legal challenges can lead to considerable uncertainty for developers and investors. More generally, the impact of the Are we fit to frack? report on public perception should not be overlooked. Unlike other published environmental assessments, the report was widely covered in the media, thereby contributing to the groundswell of public concern about fracking. This recently released video from the European Commission summarises the divergence of public opinion on fracking. Both the video and the Are we fit to frack? report emphasise that navigating the route to achieving a “social licence” is inextricably linked to the route to obtaining regulatory consents.